She stands still and stoically, a ballerina clad in all white. Put some money in her bucket, and she will gracefully move. Ballerina Mime is a fixture in Central Park in NYC. Was there earlier this summer and saw her perform. I recently learned her name is Therisa Barber and she’s a dancer from England. As I read more about her story, I realized she is a great do-it-yourselfer and deserves to be acknowledged for her work. I took this photo of Barber performing. There was a great crowd of people around her, enjoying her fluid movements and grace. Children eagerly put money in her bucket just to see her move. There are some truly unique buskers out there, and Therisa Barber is one of them. Please read more about her story at the link below and check out her web site. She is a person to be admired. 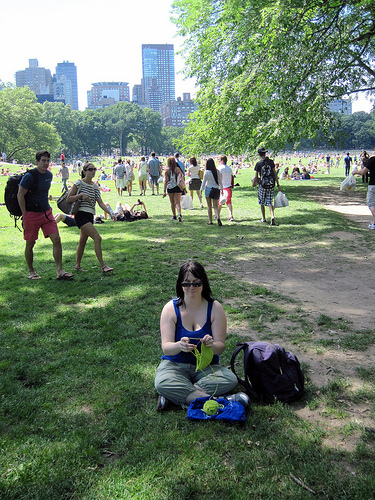 It was such a nice day in Central Park; I had to get out my needles and yarn! See more from my trip here. 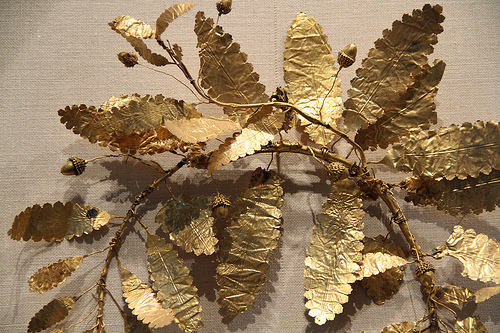 This past Saturday I went to the Metropolitan Museum of Art in NYC and got to admire work from artisans of the past, and it made me think of their crafting legacy. 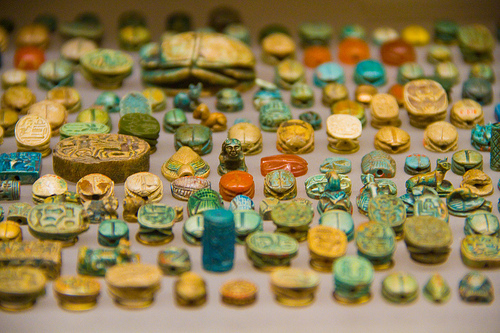 Crafting used to be a way of life for a lot of people, truly a DIY effort. Being an artisan was a source of work. Families would craft their own clothing and other household items. It’s interesting how crafting mostly has become a hobby nowadays. I mean, sure, there are some people lucky enough to do their craft as their job, but many of us do crafting as a source of relaxation and enjoyment. It’s amazing how times have truly changed with industry and mass production. I encourage you to reflect on how crafting has changed over the millennia. It’s incredible the legacy we have. Times have changed. I also encourage you to gain inspiration from these artisans, too. I know I certainly have. Long weekends seem short. Despite the fact that they do fly by, I did get a lot done, crafting-wise. Friday: Knit a little bit before packing, because I had to get ready to go to NYC the next day. Saturday: NYC! My friends Joan and Amanda, and myself went to see this cool museum exhibit on Pompeii. Very neat. On the bus trip there, Amanda, a fellow knitter, and I had a great conversation about knitting and looked through the Fall edition of Interweave Knits together. 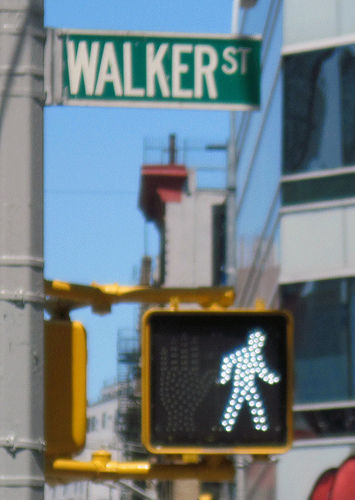 Otherwise, we bopped around Chinatown and Little Italy. 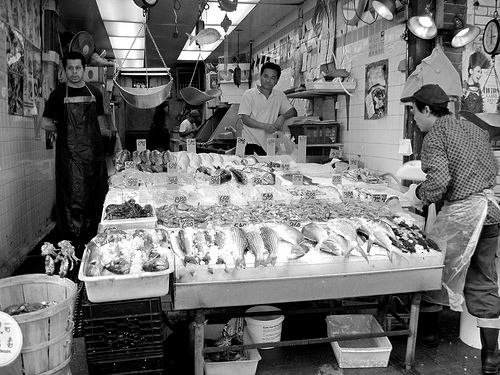 If you are interested, check out my snapshots in my Flickr photoset. 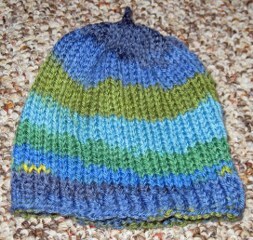 Sunday: I finished this baby hat and attempted to learn to crochet. I think I have the basics down, but everything I tried to do came out a mess. I did manage a crochet chain on the top of the baby hat, so I’m happy that I at least can manage that. It’s a start, literally. 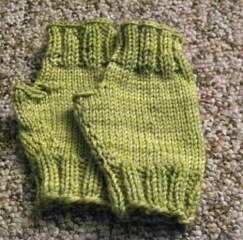 I began a pair of fingerless mitts from some leftover Malabrigo Rios yarn that I had. I got one done quickly on Sunday. Fun little knit! Monday: Ah, Labor Day. 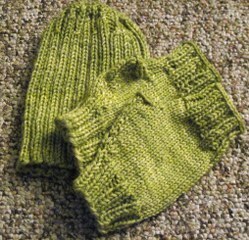 I finished the second mitt in the pair, and put it with the hat that I knit in the same yarn a couple months ago. Someone is going to get a nice set hat and glove set for Christmas. I also went to the local Jo-Ann Fabrics and Crafts to see what they had. 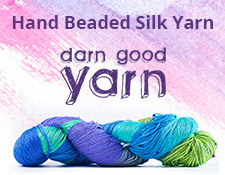 I did find some different yarns there. I still prefer AC Moore for stores in that streak, though. Otherwise, I watched the new Doctor Who (on iTunes) and a lot of Top Gear. BBCA, crafting, and a little bit of travel….it made for a great weekend.